Say Yogyakarta, and Borobudur would most likely come into mind. While a visit to this Buddhist temple is something you should do at least once, there are more places to explore and things to do in Jogja. And I'm not talking about a jaunt over at Prambanan, or a sunset at Rato Boku. I'm talking about eating, shopping, art, and – ok, fine – more temples, but lesser known and more M. C. Escher-esque. So, here's a handful more things to do in this vibrant city. 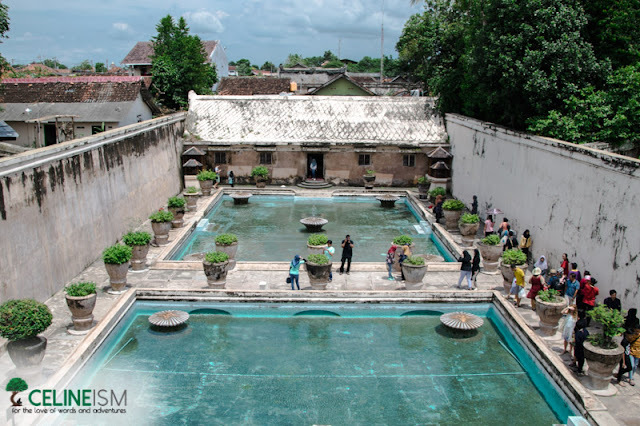 Formerly a royal garden of the Sultanate of Yogyakarta, the Tamansari Water Castle is a complex consisting of 59 buildings. The structures are characterized by artificial lakes and a series of water gardens. 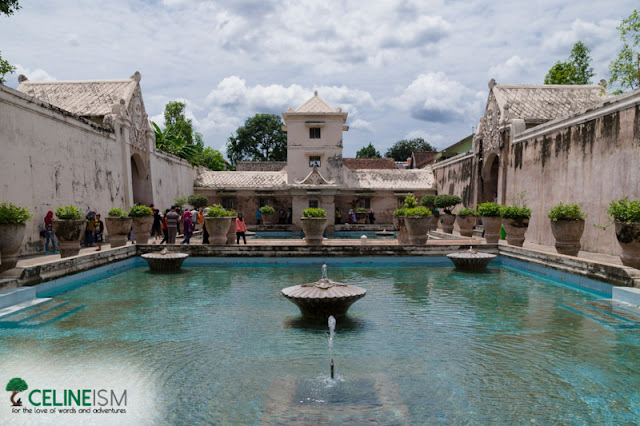 At present, however, only the central bathing area is preserved while the artificial lakes and pavilions have been occupied by the Kampung Taman settlement. 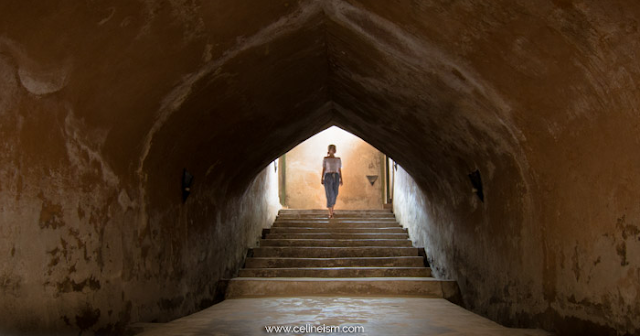 But that shouldn't stop you from exploring its many alleys and secret nooks. Entrance to the Water Castle costs 15,000IDR (about Php56; USD1.05) for foreigners. Plus a 3,000IDR(about Php1.12; UDS.21) "photo fee" if you're going to take photos. It's open daily, even on public holidays, from 9AM to 3PM. Within the compound of the Water Castle is the structure known as Sumur Gumuling. It used to be an underground mosque whose main feature will remind you of M. C. Escher's Relativity. This two-story circular building has a huge oculus in the central chambers. The stone stairs create a dizzying illusion, but also adds a kind of mystique. The entrance to Sumur Gumuling is through Tamansari. Entry to the former is already included in the fee you paid at the latter's gate. 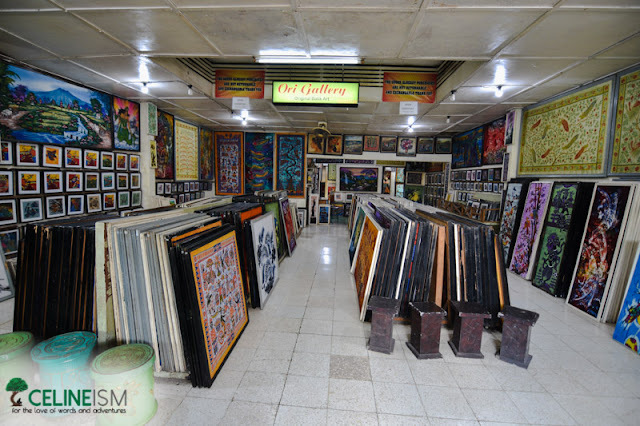 It is open daily, even on public holidays, from 9AM to 3PM. From Tamansari, take a becak (a traditional rickshaw) to the Ori Batik Art School where you can get a primer on the traditional art of Batik. 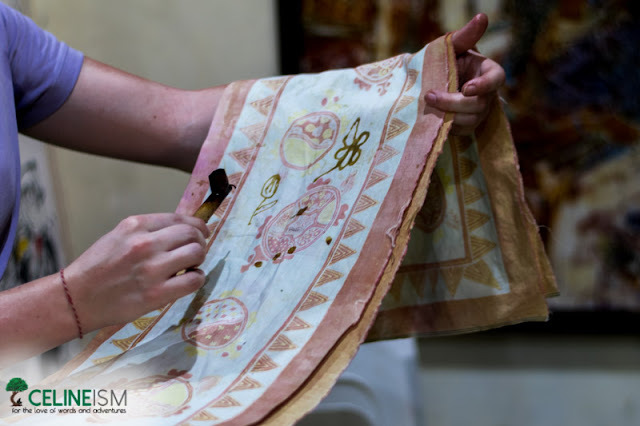 You'll learn what a canting is, and how to spot an authentic Batik piece. You'll also get to try it for yourself. Since the school also doubles as a gallery, you can purchase quality pieces here starting at 5USD. I've read about some sites stating the place is a scam, but it was actually recommended by a staff from Yogyakarta's tourism office and it's, in fact, one of the best places to purchase Batik. Entrance to the gallery is free. You don't even have to purchase anything. But I do recommend getting a Batik piece to support the craft. To get here by becak, pay around 15,000IDR to 20,000IDR (about Php56 to Php75; USD1.05 to USD1.5). 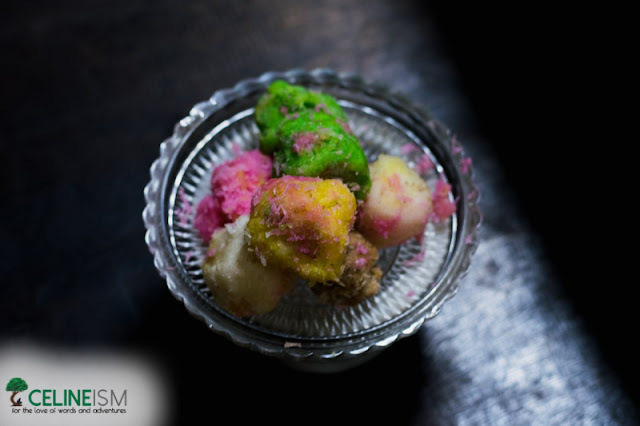 Visit Malioboro Street and you're bound to see brightly-colored, sweet-looking things. 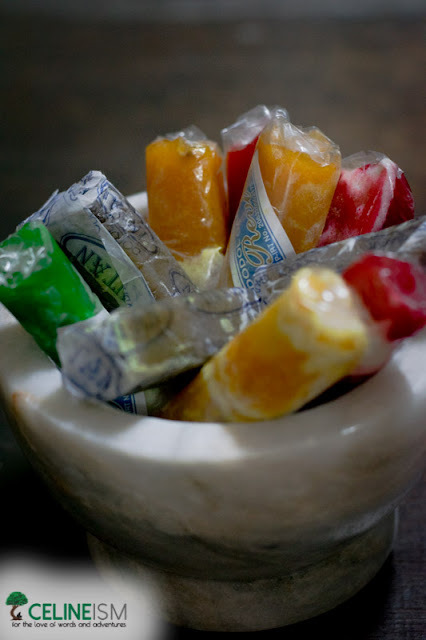 These are dodol, and geplak – Indonesian candies. Dodol is a gooey, toffee-like candy made from palm sugar. It comes in two variants, the plain brown one, or the flavored ones – durian, pandan, strawberry, jackfruit. Geplak, meanwhile, are these colorful balls made of sugar and grated coconut. Let me tell you, it goes so well with tea. You can get these for around 15,000 IDR (about Php56; USD1.05) per kilo. You can get half and half for the same price. Pro tip: request to try some first before buying. If you're looking for cheap but great quality Batik clothes, head over to the Beringharjo Market at Malioboro. I got a couple of great-looking Batik pants for 50,000 IDR (about Php180; USD4) each – a lot less cheaper compared to the 300,000 IDR (about Php1082; PhpUSD22) Batik skirt I bought the last time I was in Jogja. The ones I got this second time around are super comfortable! Worth the price! I suggest you spend at least half a day in the market to fully scour for the best deals. I, for one, would return to Jogja just to shop for more Batik clothes! It's also very easy to commute to Malioboro Street, just get on one of the "Bus Halte" around town and take the public bus called TransJogja. Bus 1A or 1B stop at Malioboro. Ask the attendant to make sure. Each ride costs just 3,500IDR (about Php13; less than a dollar)! So, there. 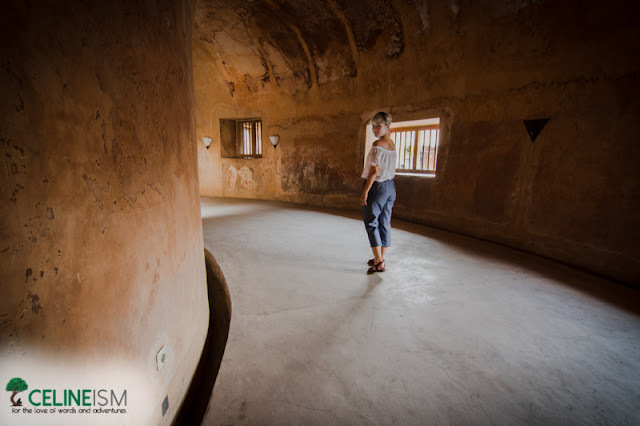 Couple your temple-hopping with these activities to get the most of your visit to Yogyakarta. Have you been to Indonesia? What's your favorite destination here? Win a Trip to Hong Kong for 4 with Bonamine!